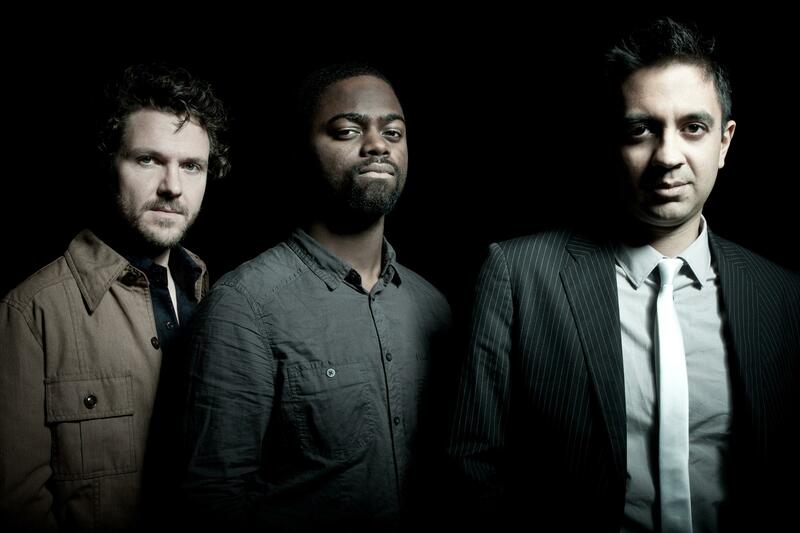 The Vijay Iyer Trio performs Wednesday through Saturday at Jazz at the Bistro in St. Louis. Iyer says the musicians plan to surf their repertoire in ways that open doors of discovery for themselves, and audiences. 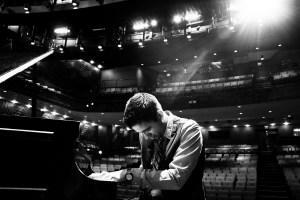 Vijay Iyer knows that people come to his concerts with their own ideas about what the music is all about. Some might expect to hear Iyer evoke the great jazz pianists who came before him. Others might expect intricate interpretations of modern pop tunes, or perhaps wonder if he will draw on his Indian American roots. Listen to David talk to jazz pianist Vijay Iyer about music, culture and his approach to improvising. At 45, Iyer is one of the top pianists in jazz, often hailed as a young standard bearer on the strength of his solo recordings, duo projects and work with his trio. He’s also a MacArthur Fellow and teaches music at Harvard University. In an era in which jazz remains a treasured art form, albeit one with small audience compared to pop music, Iyer is among a relatively few artists to attract widespread attention. Still, he said many people at his shows typically don’t know much about him, even if they have a few of his recordings. Jazz pianist Vijay Iyer, an Indian American who teaches music at Harvard University, dedicated himself to an African-American musical tradition. But after 18 years in New York City, 21 recordings and critical acclaim, Iyer knows he’s arrived. “When I moved to town I didn’t have a gig for nine months,” Iyer said recently from his home in Harlem. “It felt like well, this may very well not happen. So, it’s taken a while to take hold. But at this point I feel like we’ve been around that merry-go-round for a while now. My name and my face and my music has come around enough times that it’s not like, ‘Oh here’s some Indian guy.’ I’m a part of this now. You can’t just say I’m not. I’ve been on a few magazine covers now. Iyer is among the most respected names in jazz because of the years he spent immersing himself in the largely African-American art form. Like the pianist Craig Taborn, another acclaimed pianist of his generation with whom he collaborates, Iyer believes that jazz is a lived experience. A child of Indian immigrant parents (His father came to the University of Florida to study pharmacology), Iyer grew up in Rochester, N.Y. He started playing violin at 3, but didn’t try the piano until his teens. With no formal training, he fell into the music through high school and college jazz ensembles and by absorbing what he heard on classic recordings by Thelonious Monk, John Coltrane and Duke Ellington. Iyer’s rise to prominence came not from a lifetime of developing technical mastery of his instrument — though he indeed plays with agility and precision — but through intense listening to the musicians he plays with and to the audience, a necessity he learned early. While in college at Yale, he performed at a New Haven club. He recalled seeing the crowd let loose with enthusiasm. It was like being in a black church, and for him it was a revelation. “I was basically taking a solo on ‘A Night in Tunisia’ and people in the audience were kind of testifying and like shouting out in response to what I was playing,” he said. “So I realized that there’s a discursive quality in the music that doesn’t reveal itself when you’re just listening to the music in isolation. For more than two decades, Iyer has worked to capture that feeling – first in Oakland, where he honed his skills playing with black community elders while working on his PhD in the cognitive science of music at the University of California-Berkeley — and then in New York. That Iyer would succeed in jazz was not a given in the 1990s. It wasn’t just that he was an unknown quantity. As an Asian American whose parents were among a new kind of immigrants in the 1960s — many of them recruited for their scientific or technical knowledge — he emerged as an unexpected contributor to the arts. “It was new certainly for Americans to experience Asian Americans of any kind doing anything cultural,” he said. “And so, when I came of age in the 90s and I was in my 20s and started making albums, I think it was a bit of a new idea. It was like a new prospect. The music business was not really ready to deal with somebody like me or like [saxophonist] Rudresh Manhanthaappa – he and I have been in league for more than 20 years now — so we kind of had to forge our own paths for a while. For Iyer, following his own path meant crossing so-called musical boundaries. He sees no point in separating avant-garde, soul, R&B, funk, rock, hip-hop and electronic music. They’re part of the tools he brings to improvisation, making choices that may sound unconventional to some but fit his sensibilities as a student of the musical currents since the 1960s. At Jazz at the Bistro, Iyer will be joined by bassist Stephan Crump and drummer Marcus Gilmore, with whom he released three recordings: “Historicity” in 2009, “Accelerando” in 2012 and “Break Stuff” in 2015. On stage, the musicians aim to be unpredictable. Concert-goers never know what they’re going to play. David Cazares is St. Louis Public Radio's editor for arts and culture, health and science.